Last week, Cyndy shared her tricks from her department store visual design days for how store designers create magical Christmas trees, wreaths, and centerpieces. If you missed that post, you can find it here. By the way, her ribbon trick is so awesome, you will for sure want to check that out! 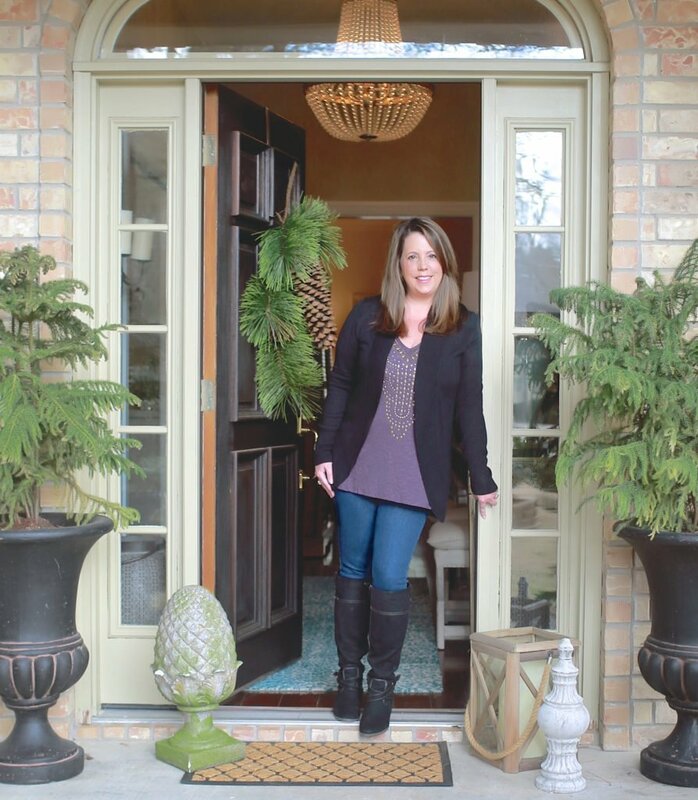 Cyndy’s Christmas 2016 home tour is also now on the blog here for more ideas. 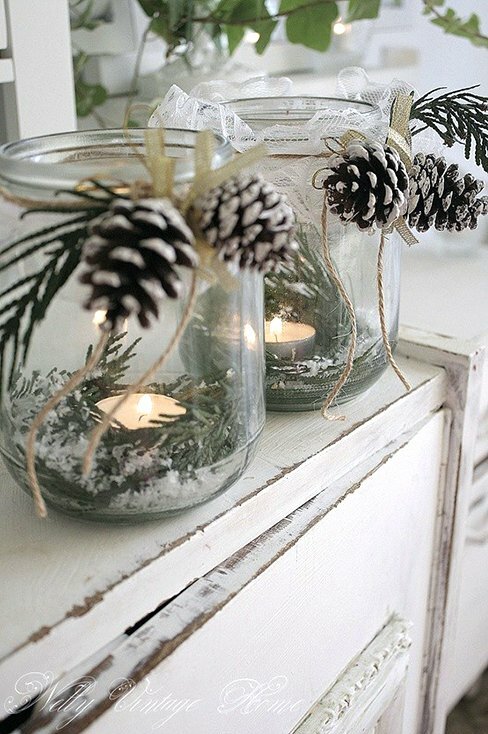 Today we wanted to share some beautiful and easy DIY Christmas decor projects that anyone can make, because ’tis the season to deck the halls with beautiful handmade holiday décor! 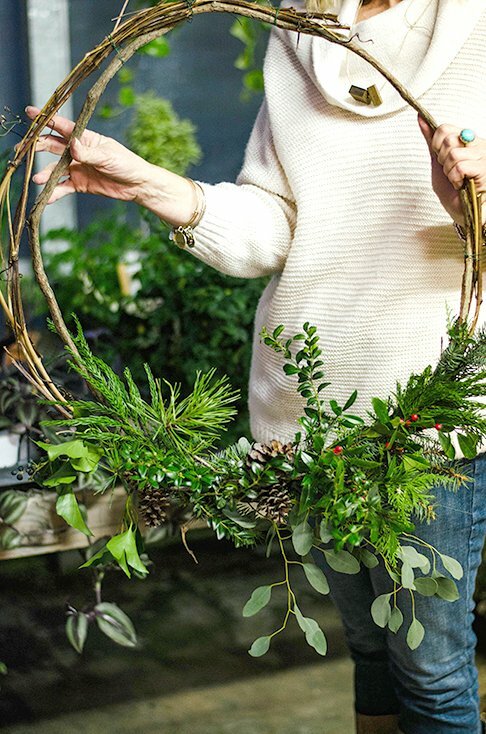 From fresh greenery, to grapevine, to just about anything else you can think of, wreaths are extremely versatile and give you loads of easy DIY opportunities to get creative. 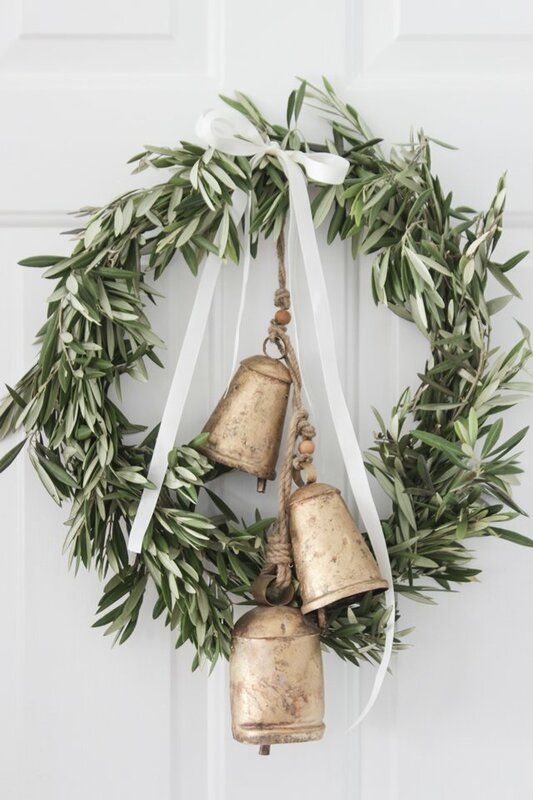 Simple and elegant, this olive branch wreath will welcome—and wow—your friends and family. 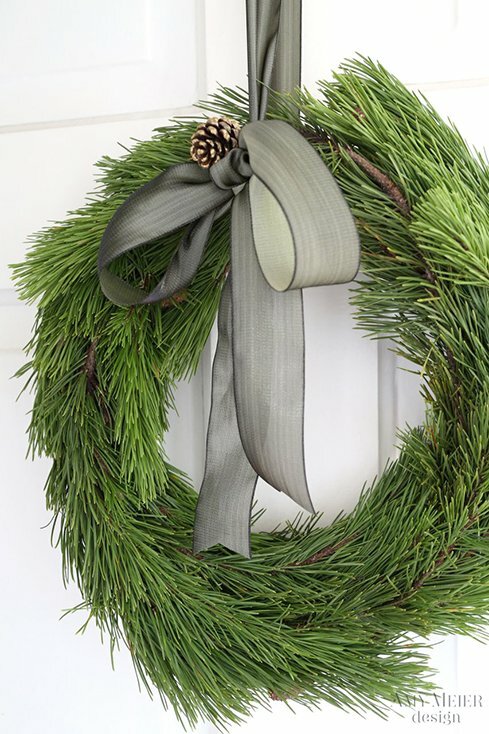 Using some boughs from your own pine trees, you can create this lovely fresh pine wreath. Add a pretty bow and tuck in a pinecone or two for interest. 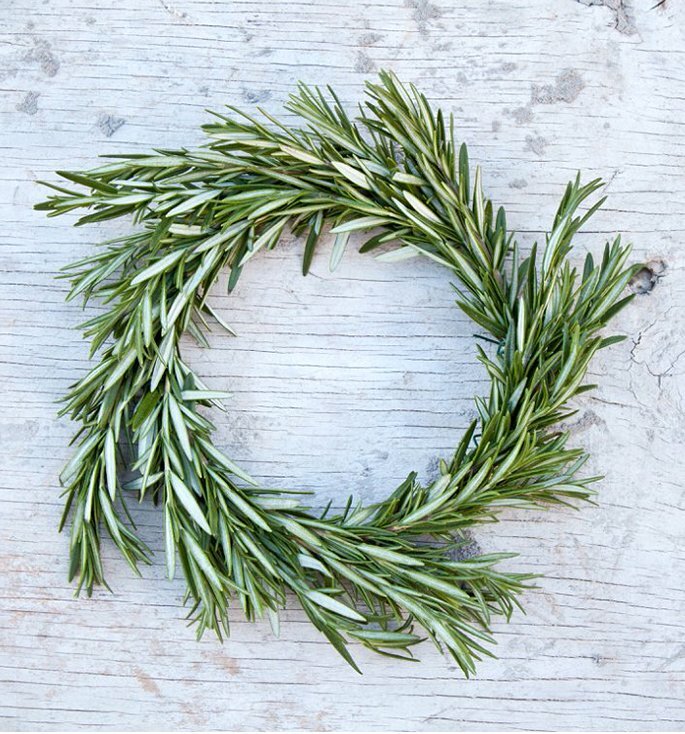 Rosemary was used to create this simple, sophisticated wreath. Imagine how lovely it smells! 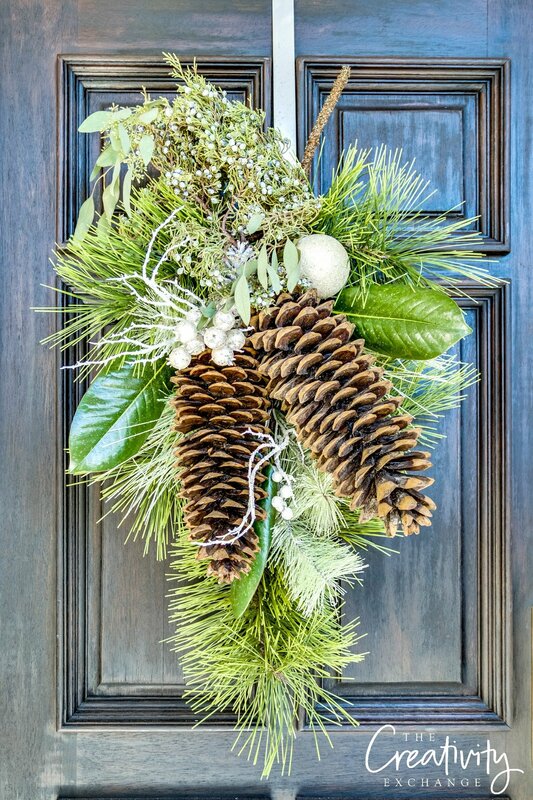 This stunning natural grapevine wreath features fresh pine and other greenery, berries, and pinecones. 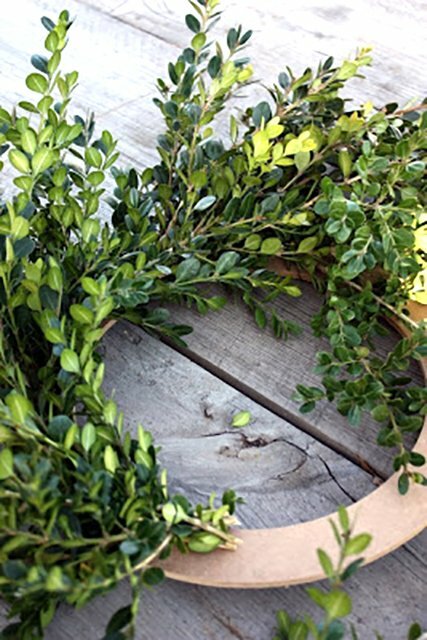 I love boxwood, and although it’s not necessarily a traditional Christmas green, it makes a very pretty wreath, as this tutorial shows. 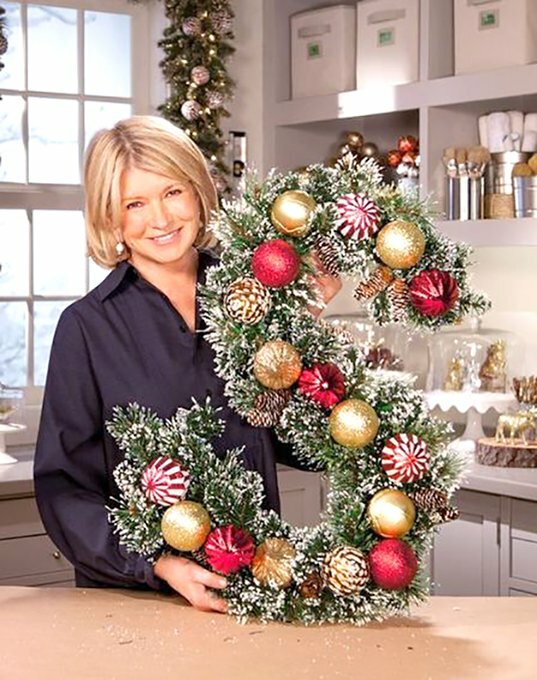 Martha Stewart demonstrates how to create this personalized lighted monogram “wreath” in her easy-to-follow video tutorial. 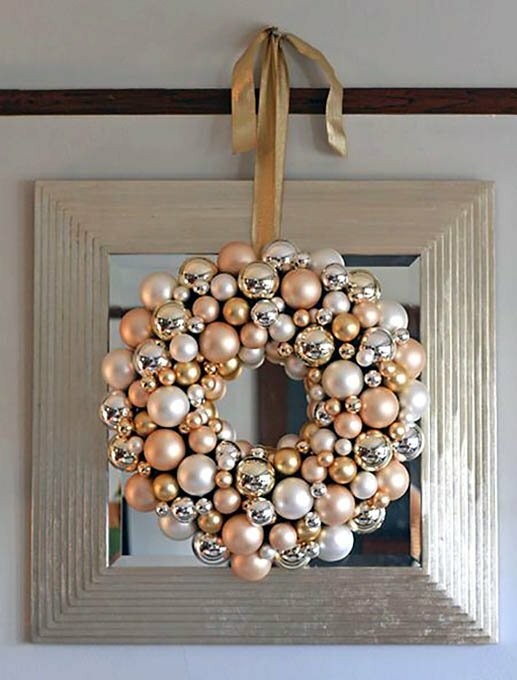 If you have extra ornaments, you can make this eye-catching ornament wreath. 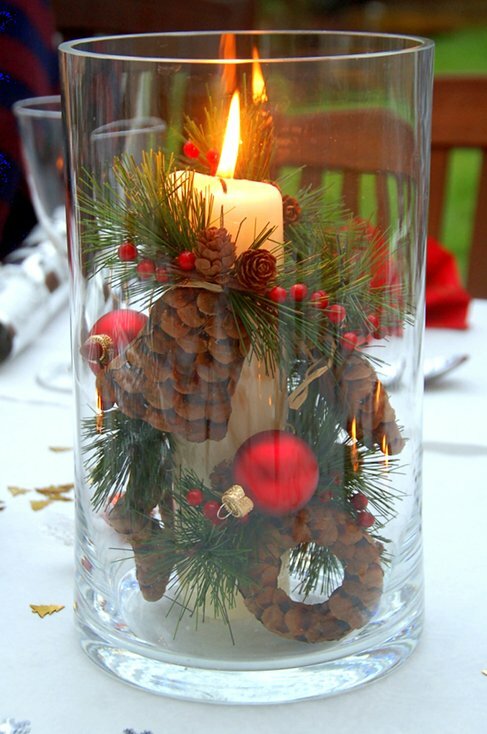 Create a sophisticated-looking version such as this one, or change the colors to match your home’s holiday décor. 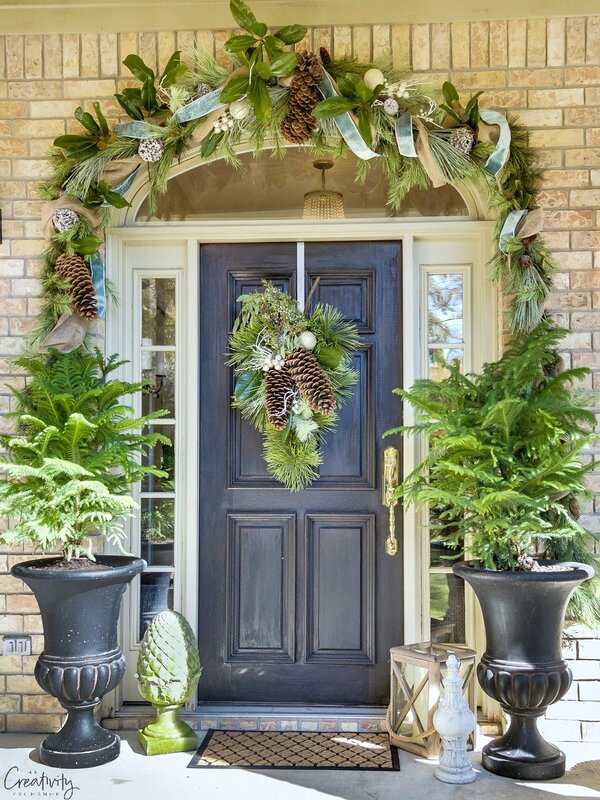 Cyndy this year used a faux pine swag on her front door and she worked in fresh magnolia leaves, juniper berries and eucalyptus. Garlands feel like a very Christmas-y thing to me. 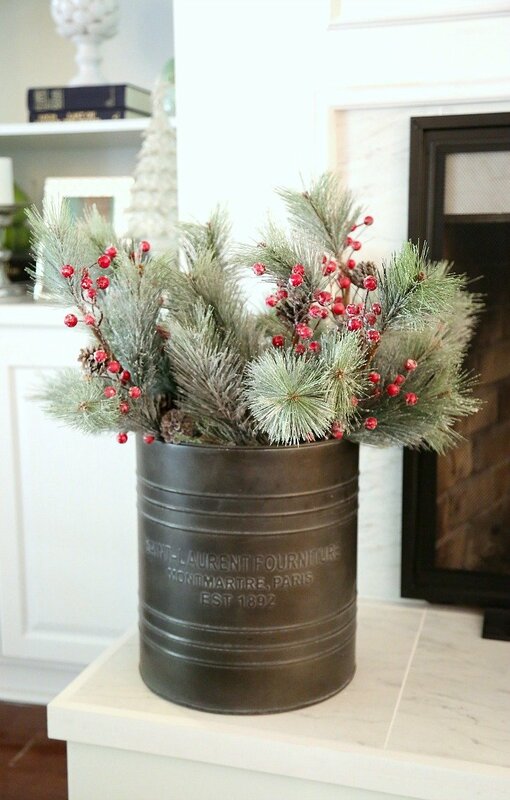 Maybe it’s all the pine and greenery used in Christmas decorating. 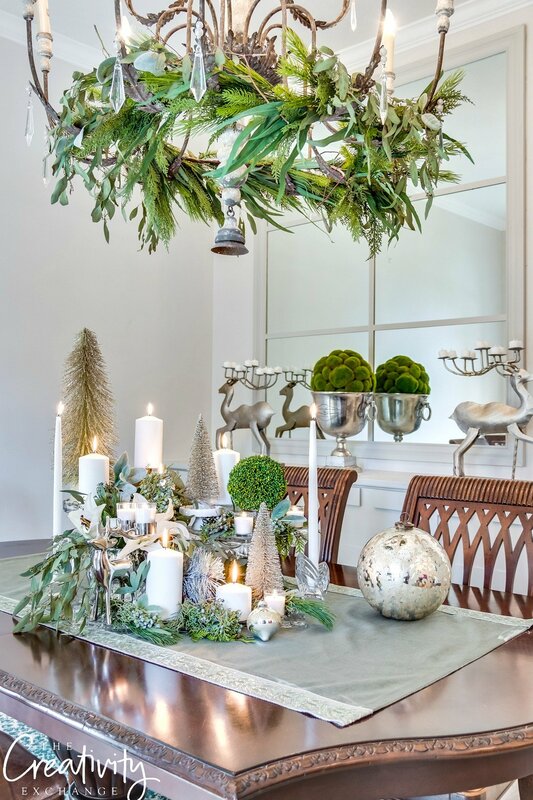 These garlands offer the classic greenery and also mix in some nontraditional materials. 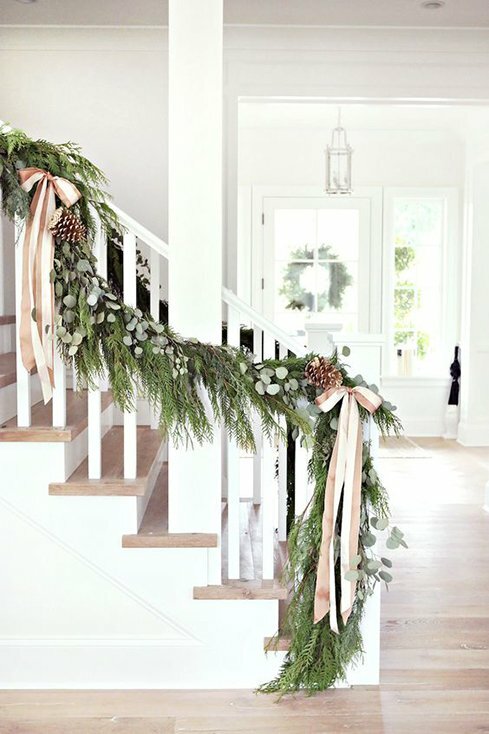 Stair railings are an ideal spot to add a garland, and this version is simply gorgeous. With some pinecones (check your yard! 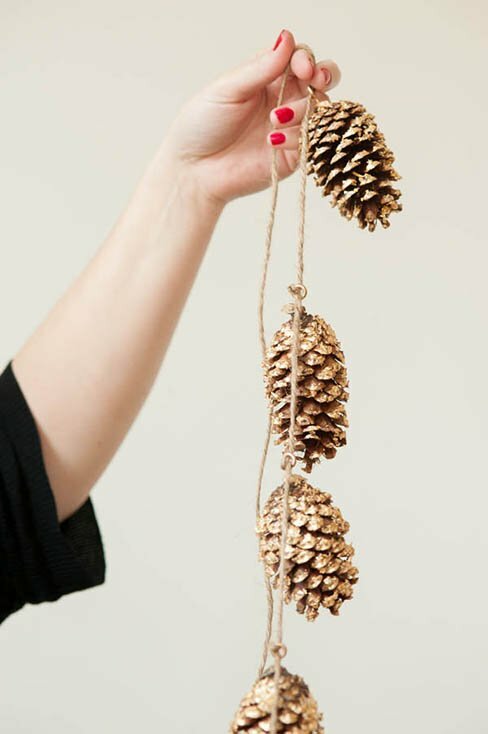 ), gold leaf, and twine, you can easily DIY this pretty pinecone garland. 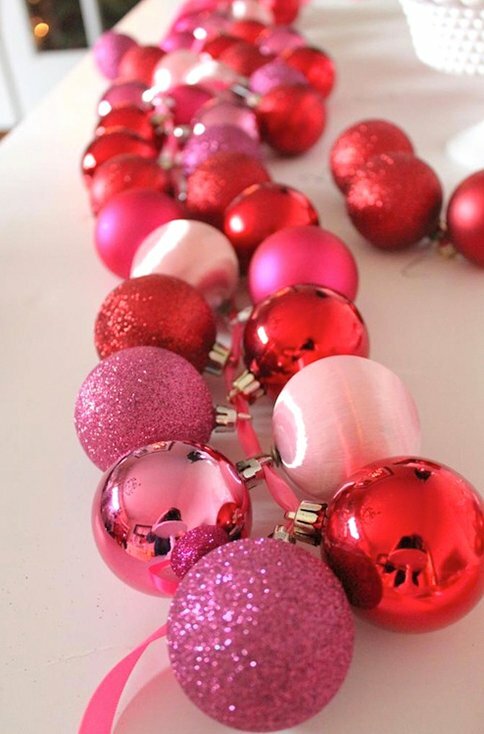 If you didn’t use all your ornaments on your tree, or the ornament wreath shown earlier, you can string them together to create this fun ornament garland. 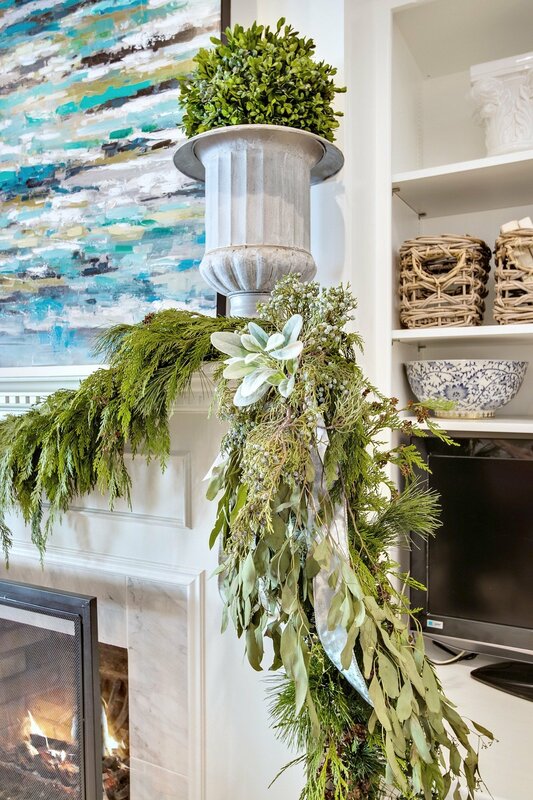 If you don’t want to decorate your whole garland if you’re doing it on your mantle this year, consider just adding sprigs to the two corners like Cyndy did. I seem to decorate with more candles around the holidays. Maybe because it’s colder outside, and the warm glow of candles makes me feel warmer. 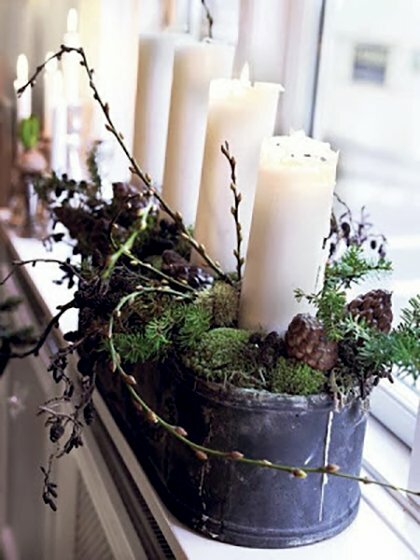 These pretty arrangements are great excuses to add more candles to your Christmas décor. It doesn’t get more simple than slipping in your leftover sprigs and greenery into buckets and baskets for a beautiful display on the hearth. 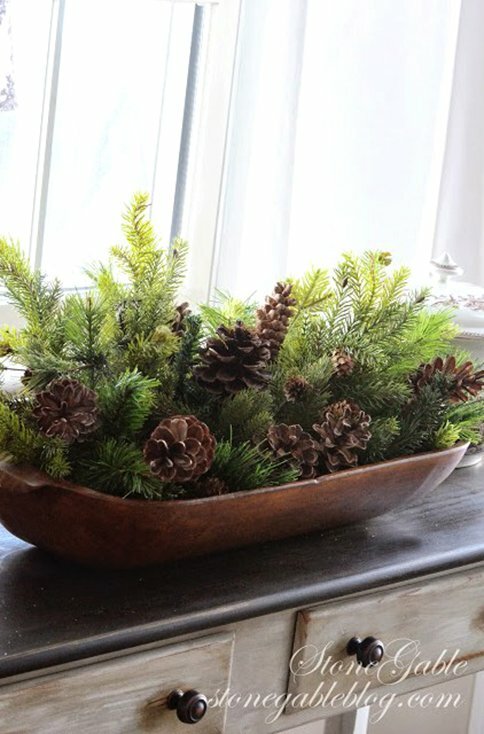 Speaking of leftover greenery, create an easy display with your extras by simply slipping into bowls for an instant display. 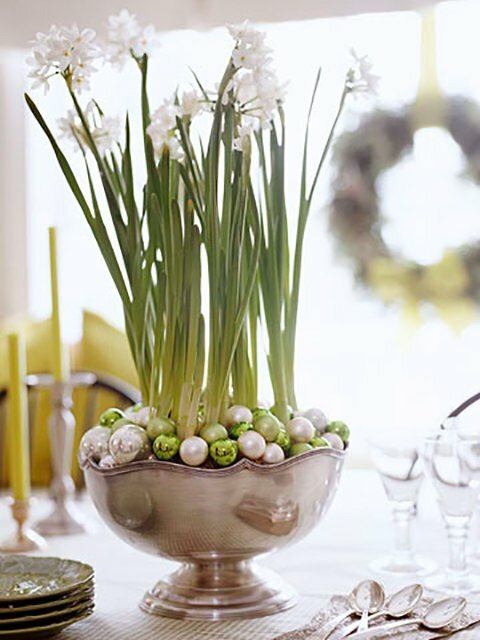 Paperwhites and other bulbs are often seen around the holidays, and you can create a pretty arrangement like this with some small ornaments and a simple silver bowl. 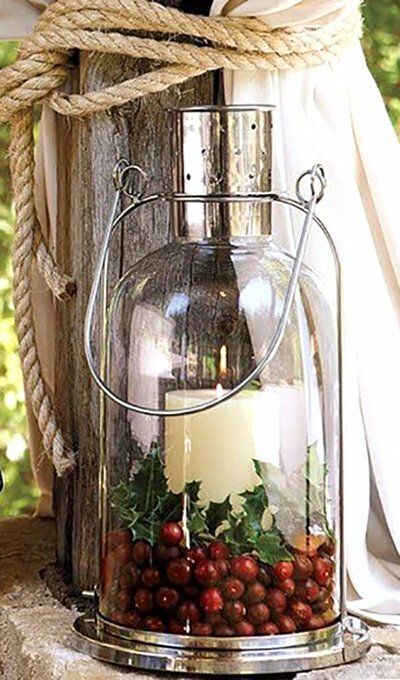 Fill a large glass lantern with cranberries, holly leaves, and a pillar candle for a simple, rustic holiday decoration. Use cake stands on your table to layer candles, fresh greenery, bottle brush trees and bling for an easy and stunning centerpiece. 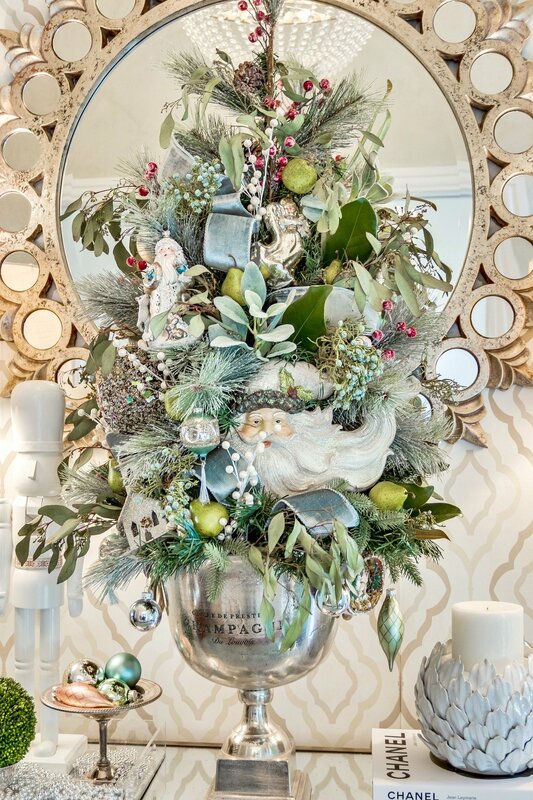 Topiary, trees, and ornaments are a few more ways you can incorporate homemade touches in your holiday décor this season. Cyndy designed these fun, colorful ornament topiary pieces for her front porch using oversize ornaments. Get her easy-to-follow tutorial here. 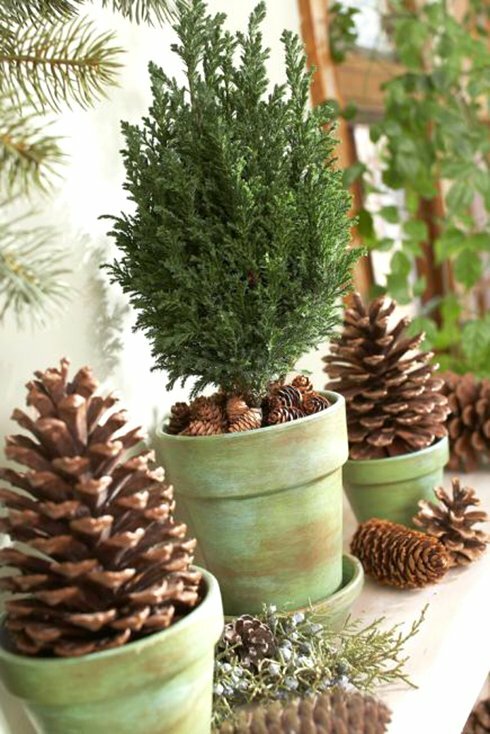 These cute topiary were made with small painted clay pots, pinecones, and a tiny pine tree. This could be a fun project to DIY with your little ones over the school holiday break! 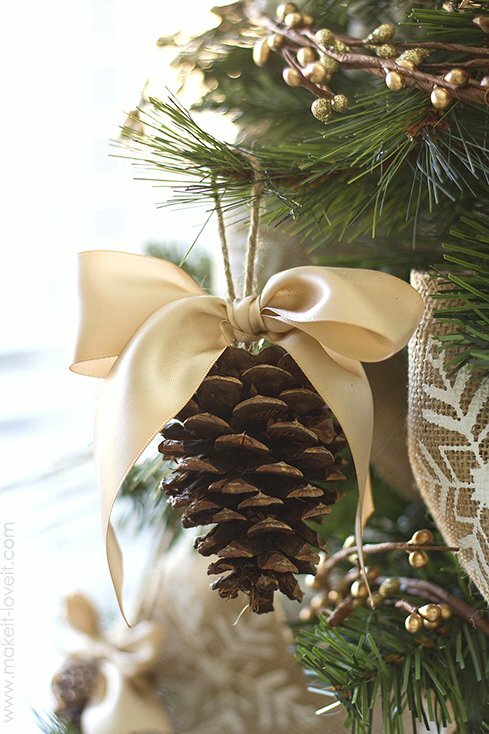 This simple pinecone ornament, made with a pinecone, some twine, and a pretty ribbon, inspired a “why didn’t I think of that?” moment for me. 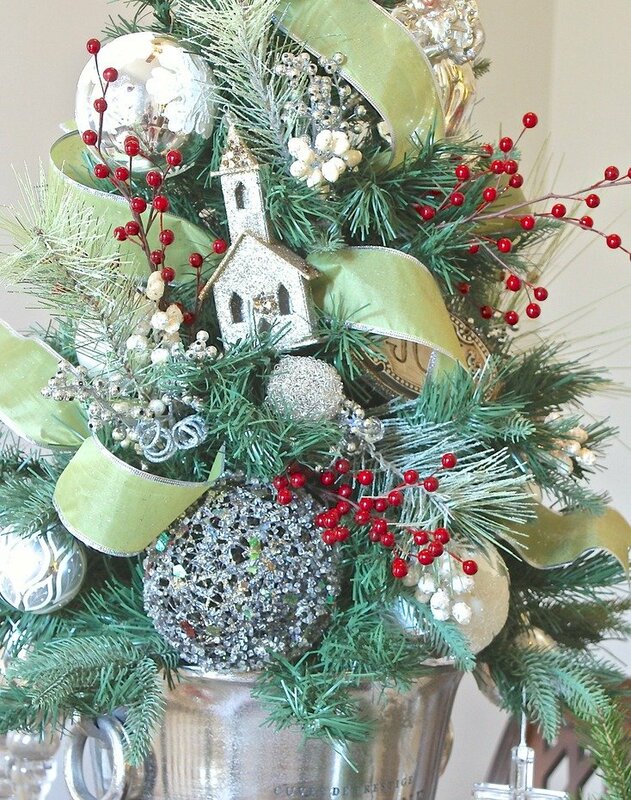 Imagine how gorgeous your Christmas tree would look full of these! 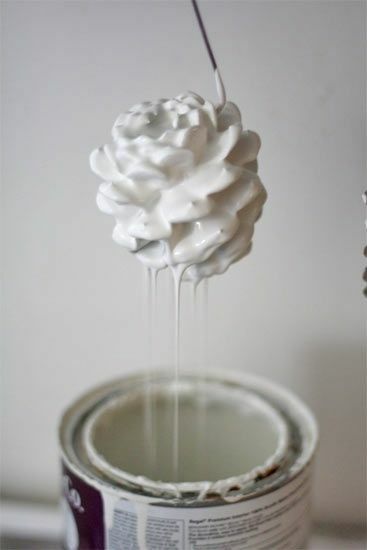 Use a wire hanger to dip pinecones in paint to highlight a specific color in your décor. Faux fruit like pears, apples, and berries are a great way to work in a great pop of color. 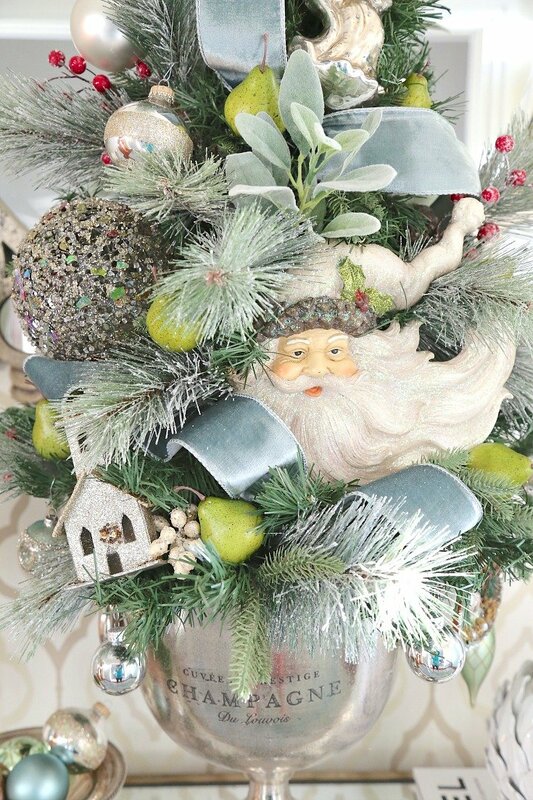 Cyndy slipped in floral wire into the base of these mini pears and worked them into her entryway tree. 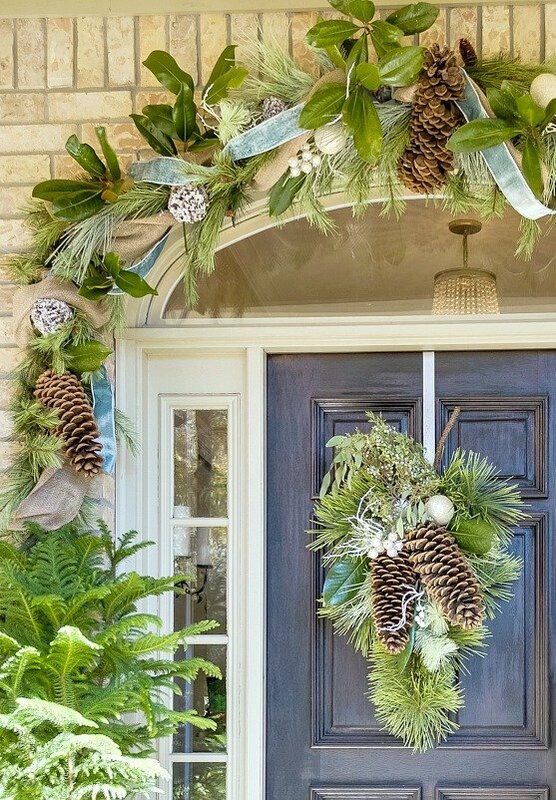 Create a grand Christmas entrance by using faux garland for the door and working in fresh greenery like Cyndy did with magnolia leaves, cedar and eucalyptus. 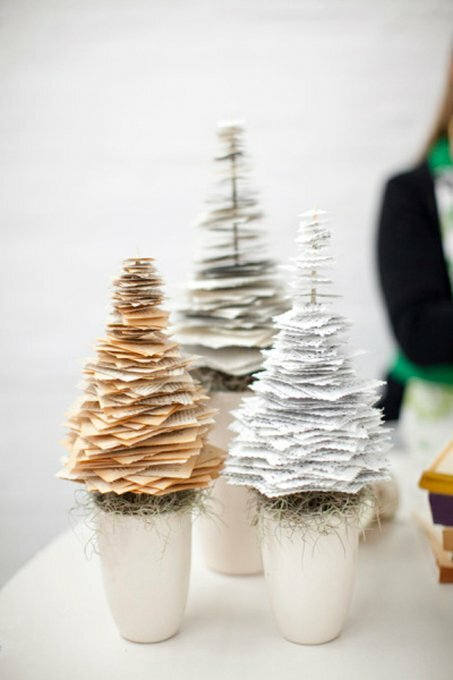 Recycle books or newspapers into these elegant paper Christmas trees. Or use colorful scrapbook paper for more festive versions. 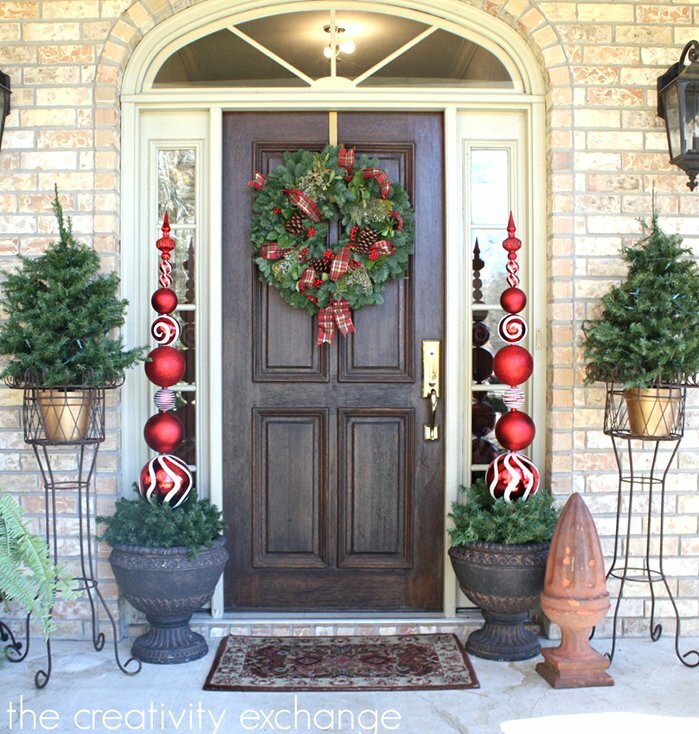 If you want even more creative and easy DIY Christmas decor ideas and projects, Cyndy has a fantastic Pinterest board full of great Christmas projects to look through here as well. 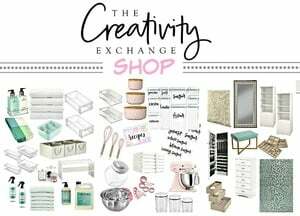 Love, love, love these great ideas. Hoping to incorporate a few of them in my home. Thank-you!